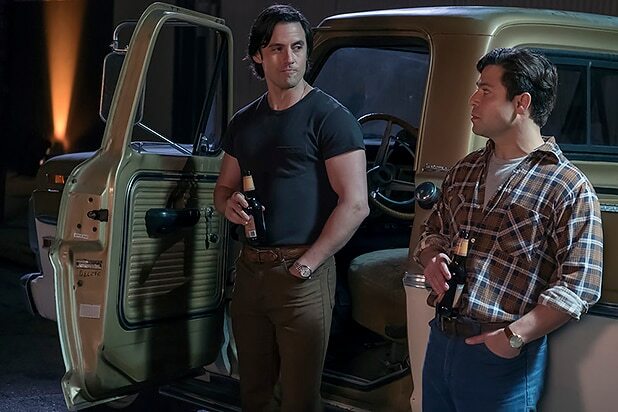 One of the most popular shows on network television, NBC’s “This Is Us,” has veered deeply into the world of alcoholism in season two. This may not seem like big news, especially for a show that tackles just about every other affliction. But making it the critical challenge facing the series’ core marriage (“Be a man and fix it”) is still worth applauding. Movies, of course, have long dealt with alcoholism, from Billy Wilder’s “The Lost Weekend” (which won a Best Actor Oscar for Ray Milland) to “Days of Wine and Roses” which featured a major detour for Jack Lemmon (also nominated for an Oscar for playing an alcoholic) to “Leaving Las Vegas,” which was the career highlight for Oscar winner Nicolas Cage. Playing drunk might seem easy, but doing it right clearly brings rewards. Still, television has been slower to get on the “off the wagon” issue. When movies of the week were popular, one of the best was “My Name is Bill W.,” about Bill Wilson and the founding of Alcoholics Anonymous. When we think back on the early years of TV series, however, characters who imbibed were used largely for comic purposes. There was Otis, Mayberry’s “town drunk” in “The Andy Griffith Show.” Norm of “Cheers,” which after all took place in a bar, was known for keeping that tab running. Even now, some of the funniest TV characters have alcohol attachments. Allison Janney and Anna Faris are recovering in “Mom.” The first episode of Will Arnett’s “Flaked” began with an AA meeting. Karen on “Will & Grace” earned many of her laughs with a drink in hand. It will be interesting to see if that is continued on the newly revived show. Some of the best known characters, who clearly overdo it, are of the animated variety, including Homer Simpson and Peter Griffin. As times have moved on, and alcoholism pretty much became accepted as a serious disease, cable shows like “Mad Men” and “Shameless” treated the issue as something viewers could not ignore. The same can be said about ABC’s “20/20,” which turned over an entire episode to host Elizabeth Vargas’ battle with the bottle. But as entertainment journalism flourished, the cameras were all over performers’ suspected or admitted alcoholism. A courtroom appearance by Lindsay Lohan, an overdose of drugs by Whitney Houston and a custody battle between a divorcing Brangelina became news. Not that alcoholism was completely kept under wraps. The celebs themselves (Lohan, Alec Baldwin, Ringo Starr, Anthony Hopkins, Mary Tyler Moore and even Brad Pitt) seemed eager to get the word out about their drinking, either as warnings to others or excuses for their own past behavior or — if you want to put on the cynic’s cap — because their careers needed a boost. They are still labeled “brave” for disclosing their battle, as is “This Is Us,” which is putting alcoholism, and its always-threatened rebound, front and center. “You kicked it before, you’ll kick it again,” says the hopeful wife on the series, played by Mandy Moore. 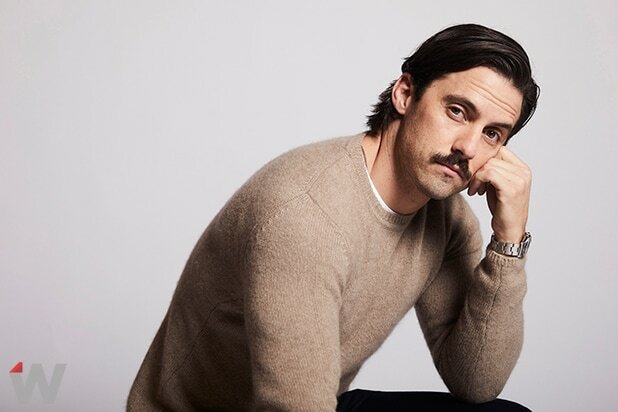 But the defining moment that separates “This Is Us” from the rest of TV’s portrayal of alcoholism comes not when beloved patriarch and devoted dad Jack Pearson (played by Milo Ventimiglia) walks up the stairs to an AA meeting, but when he confesses his drinking problem to his daughter. “I’m sorry, I never meant to disappoint you,” he says, with heart-wrenching emotion. Finally, one show that gets that this is no laughing matter.